Multiple websites, first created with design tools such as Adobe Dreamweaver and Apple iWeb, later evolved to WordPress. 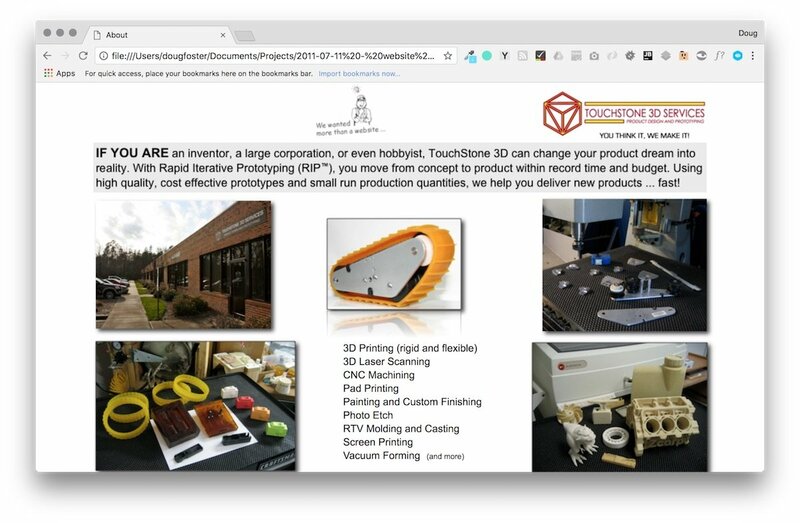 Promoting the company’s product innovation & prototyping services, Touchstone3D continues to contract with Convinsys for all web based projects. Need to promote a portfolio of services and prototyping capabilities. Created multiple early generation websites using HTML/CSS/JS. Eventually moved website to WordPress, included blog posts promoting TS3D projects. Apple iWeb, Adobe Dreamweaver, Chrome Developer Tools, custom code (PHP/JS/HTML, CSS), WordPress, Thesis theme, iThemes Builder theme. The first websites served their purpose, allowing visitors to learn about Touchstone 3D. Shifting TS3D to WordPress had many advantages. One was an easier ability to tell stories about interesting projects & clients. 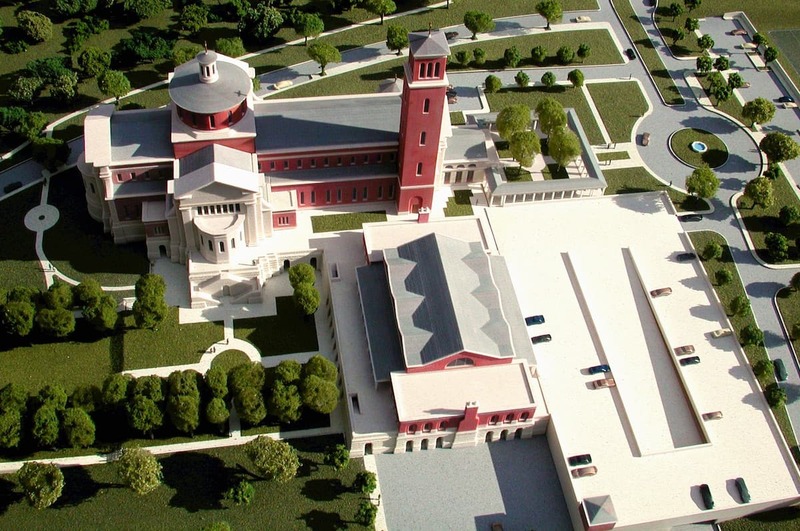 One of the stories I wrote for TS3D in the Spring of 2012 was about a large 3D model built to raise funds for the proposed Holy Name of Jesus Cathedral in Raleigh, North Carolina. To get the background for the story, I interviewed Allen Moore, owner of TS3D, in person at his shop. I also interviewed the model builder, Ruben (Alex) Coplo, over Skype. The final story was not carried over to TS3D's current website, but below is the copy I wrote (minus quite a few photos) for the story.